In Japanese, the word Kintsugi means "golden rejoining," a 15th-century oriental master craft dedicated to the restoration of fine ceramic pottery. 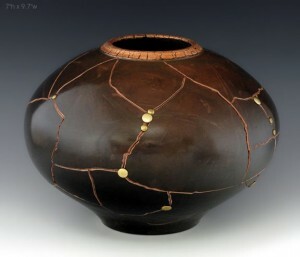 The essence of Kintsugi is the practice of focusing one's intention on life's hidden beauty and power. In the case of this ancient art form it's about the power of transforming broken ceramic pottery into beautifully resurrected masterpieces. 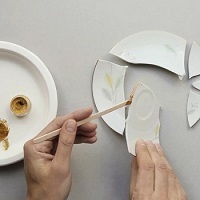 Beholding the artistry of Kintsugi one can immediately see its transformative power. Shattered pieces of a pristine vase are artfully rejoined with gold-laced epoxy to create a stunning masterpiece; and evoking an intriguing question. If such astounding beauty can emerge from the shards of a shattered vase, could a similar transformation also be possible with the parts of us we believe are shattered beyond repair? While the original form of the vase has forever been destroyed, through Kintsugi's alchemy, the essence of its beauty not only survives, it thrives. In other words, the transformation is not just about putting the pieces of one's broken life back together, it's about a total reinvention of self in which our shattered pieces are alchemized into a beautiful, thriving masterpiece. Let's explore the three essential practices of Kintsugi that make this miraculous transformation possible. Kintsugi's first essential practice is to set aside our self-defeating emotional conclusions, the "stories" we've constructed about how impossible it is for us to recover from our devastations, betrayals and losses. And not only this, but to release the investments we have in keeping our lives broken as a reminder of how we've been unfairly treated, used or abused. Or even more detrimental, our tendency to cling to misfortunes as a way to prove to ourselves and others that we are "damaged goods," not worthy of love, recognition or success. Rather than our wounds being only destructive, the moment we realize they are also constructive, we cross the threshold from the impossible to the possible. The moment we do this we are on the way to transforming what is broken into what is beautiful. The second essential practice of Kintsugi is to prepare the golden epoxy for filling the cracks and rejoining the shattered pieces of our lives. A fine balance of ingredients is required. 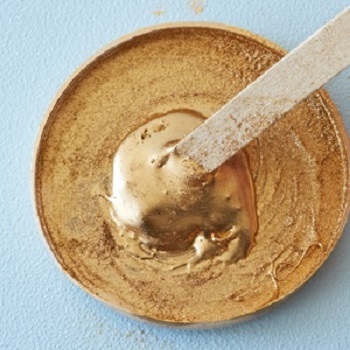 If we add too much gold to the mixture the joints will be too soft to fuse our emotional fragments back together. Yet if we add too much epoxy the adhesive bond becomes too brittle to establish a permanent bond. The "gold" in the analogy represents our desire to be healed, too much desire and we set ourselves up for unfulfilled expectations. Moving too quickly, assuming we are healed before we actually are and placing too much faith in powers beyond our own capacity are traps to avoid as we prepare the golden adhesive for our transformation. The "epoxy" in the analogy represents our attachment to positive reinforcement or to our expectation of how quickly we should be progressing. Being too attached to only fast and positive movement undermines our willingness to embrace set-backs. Not only must we be open to set-backs, we must remain open again and again until what is bonding back into wholeness within us has had sufficient time to "cure." Tugging on pieces of our newly adhered emotional fragments before they've had time to integrate is unwise for obvious reasons. The third essential practice of Kintsugi is to re-experience every broken fragment within us as we engage in our reconstruction process so we know their exact shape, position and feel. Every single piece must be returned to its original position within our psyche if we are to transform ourselves from broken to beautiful. 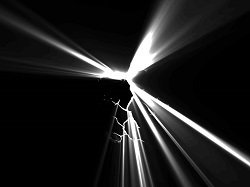 Every sharp fragment of shattered trust, faith or care must be carefully handled to avoid getting cut again. But we must be willing to touch and feel each of them with the "hands of our heart" so we know them intimately and can accept them all into our newly transforming self. This is not a process of indulgence, dramatizing the past, feeling sorry for ourselves or blaming others, but rather a sacred process of re-experiencing the pieces of our humanity that make up our greater, stronger and more beautiful self. While we may have been so deeply hurt that we never want to revisit our traumas and pain, by having the courage to do so we discover that while our identity may have been broken, we are much more than our identity... we are a sacred container for the content of our lives, a "vase of possibility" that stands proud and whole as a thriving testament to the beauty, grace and resilience of the Human Spirit... cracks and all.